This is where I stand. A few years ago, before David Cameron adopted the foetal position and waved the white flag to the advancing UKIPS, giving them the Brexit referendum, I was stopped by a ‘kipper’ in the high street of my adopted home city. I was asked if I wanted to forever remain ‘dominated’ by some ‘faceless European bureaucrat who would force us to consume straight bananas and live in dimly lit buildings powered by puny Dutch lightbulbs, or put the ‘Great’ back in Britain. It was a nonsense answer – the sort that Donald Trump would have given – but I thought it got my point across. I am, and always will be, a European - a citizen of the world. I think Brexit is madness, and at a time when the world is becoming more and more fragmented, I strongly feel we need unity. 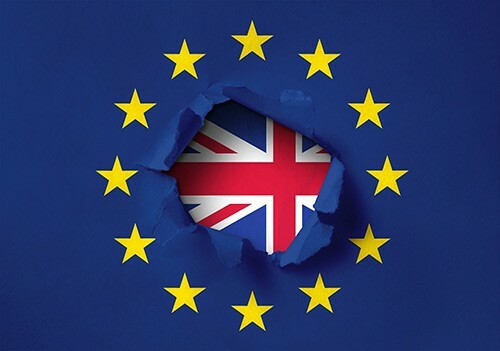 In the past couple of weeks, two of my closest dental friends – both from the EU, have indicated that they are thinking of returning to their countries of origin, having worked in UK dentistry for several years. Both were worried about the uncertainty surrounding their rights to residency – an issue still not absolutely clarified by the UK Government. Another East European friend has recently left my corporate practice to go into independent dentistry, unable to cope with the madness of the NHS, UDA system. This has left the corporate practice critically short of clinicians and attempts to bring in either a permanent dentist or long-term locum has failed. (OK, fair enough, it IS a corporate after all). Many foreign dentists I have met have all been working for a UDA rate much lower than their home-grown counterparts and it is them in the main (it appears to me) that are prepared to work at a rate UK-born dentists would turn their noses up at. One former corporate practice manager told me recently that she was told to offer prospective dental associates different UDA rates – foreign nationals being offered two pounds per UDA less than their UK counterparts. Besides EU nationals going home as a result of Jacob Rees-Mogg, in 2017, a private Freedom Of Information request obtained from the General Dental Council showed that foreign dentist numbers dwindled in 2016, since nearly 40% of dentists who were found to have impairment of their fitness to practice originated from the EU or outside the UK and EU. This represented just over 3.7% of the total ‘foreign’ dentist workforce as contrasted to the 0.2% of naughty UK dentists based on 2018 registrant figures. A search of the number of dental therapists in trouble with the GDC finds no such comparable statistics. Apart from one therapist in 2005 who was erased for performing a filling without a dentist prescription and one in 2013 who forgot to pay her Annual Retention Fee, there has been an exceptionally low rate of fitness to practice cases brought against therapists. These days, since I work in a corporate, I meet very few therapists, but I have a very high opinion of them from personal experience. I will admit, I was forced into it because I couldn’t find an associate to move out into the sticks where my practice was located, but I employed a dental therapist in my own practice for a while a few years ago and her work was very good - providing a top-notch client service as well as taking patient appointment pressures off me. Her employment was also economically, a ‘no-brainer,’ being cheaper than employing an associate at 50% renumeration. I also trained with a mature dental therapist in the early 80’s. She flew through the dental course with ease, knocking spots of her classmates. In independent/NHS practice, remuneration would be a simple matter of a salary or hourly rate. In corporates, a nod to the associate’s prescription input would have to be acknowledged, so that he can get on to providing Band 3 mouthguards for someone who may have heard a vague click in their left TMJ in 1998. Having said all that, I WILL miss my European colleagues if they do decide to go. When I first met her, one of my EU friends was trying to pick up some British colloquialisms, mainly taught to her by her dental nurse, a girl with a mischievous sense of humour. David Cameron, what did you do?